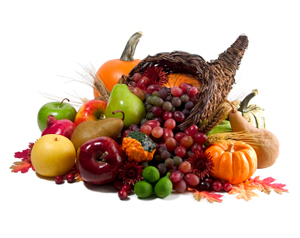 My best wishes to you and your family for all of the Blessings of the Thanksgiving Holiday. The Elmwood Park Zoo in Norristown – The Reindeer are coming to Elmwood Park Zoo beginning November 8th to December 23rd. Also, it’s time to book your Breakfast With Santa at Elmwood Zoo beginning 12/9 call 610–277–3825 X 225/231. First Friday On The Main Line – November 7th 2008 – Be sure to check out this remarkably creative new artistic offering for Ardmore, Haverford and Bryn Mawr in Delaware County. Ride on the First Friday Trolley and it’s FREE, but I’m sure you’ll want to make a donation for educational and fun! Sunday Brunch with Simon Pearce On The Brandywine 11am to 2:45pm Call 610-793-0949. Views of the Brandywine River and live music. Chester County Craft Guild – 4th Annual Holiday Craft Show November 15 and 16th 2008. Contemporary and Traditional Crafts plus a gourmet cafe serving a light lunch, coffee and snacks in Chester Springs at 1645 Art School Road, just off of Route 113 in the historic Yellow Springs Village 10am-5pm $3 admission.